01/04/2018 Nirvana 420, the latest addition to Tampa's local craft spirits scene is launching from Fat Dog Spirits, makers of Touch Vodka. Nirvana 420, the latest addition to Tampa's local craft spirits scene is launching from Fat Dog Spirits, makers of Touch Vodka. Nirvana 420 continues Touch Vodka's natural, wholesome brand – it's made with hemp seeds. The release party for the 750-milliliter bottles is this Friday, April 20th at the Donatello Italian Restaurant at 232 N Dale Mabry Hwy at 4:20 p.m. where Nirvana 420, the new hemp vodka will make its premiere. Fat Dog Spirits are based in Ybor City, where they make Nirvana 420, Touch, gin and moonshine brands in their 6,500 square-foot warehouses and manufacturing facility. 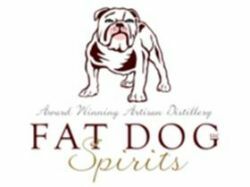 Owned and operated by three life-long friends, Fat Dog Spirits created the Nirvana brand based off of current health-conscious trends. Following from Touch's locally-sourced distillation from Florida Everglades wildflower honey and America's best grains, Nirvana is meant to provide another natural option for vodka lovers. The name Nirvana 420 is also meant to evoke living in the moment, according to a statement from Touch CEO Dr. Ram Ramcharran of Fat Dog Spirits. The hemp in the vodka is not the driving force behind Nirvana 420, for Ramcharran, instead, it is a happenstance. "After 17 months, this fine product has come to fruition to provide a blissful, relaxing-style feeling," said Ramcharran.